The Brooklyn Grey Avola vanity with tall cabinet suite includes everything you need for creating a stylish contemporary bathroom in your home. 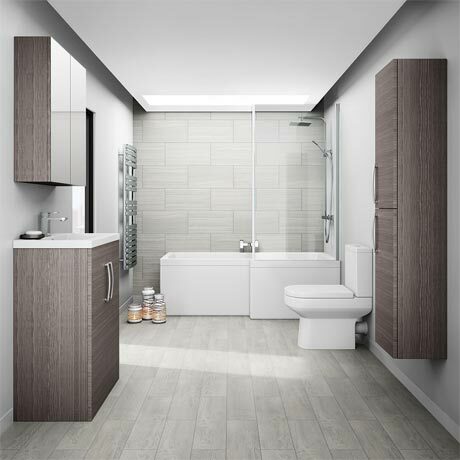 Optional bath end panel (WBS301) and matching mirror cabinet sold separately. Lovely quality products excellent value for the money. "Large units nice finish, bathroom looks great."